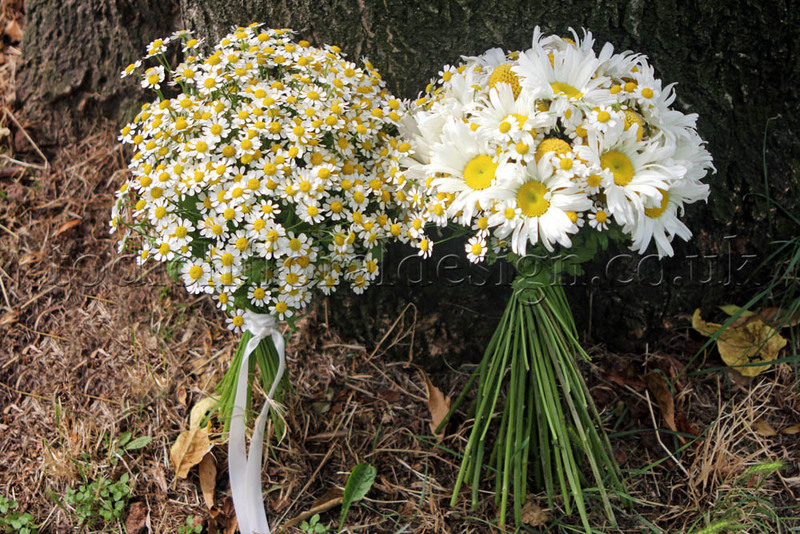 TFD » Blog » Posts tagged "Seasonal Summer Wedding Flower Ideas"
The natural, woodland look is perfect for summer wedding flowers. Even if the big day isn’t held outdoors, the sunlight and blue skies inspire the desire to bring the outside indoors and have decorations featuring greenery and rustic touches. Wedding bouquets are ‘undone’, centrepieces evoke the magical florist and everywhere are touches of nature to bring charm and beauty to the proceedings. Be inspired by the natural look and speak to your London wedding florist about how to tailor it to your style. Summer wedding bouquets for natural theme need to have the undone look, with different shapes and textures arranged together in a relaxed style. Bouquets should feel abundant and overflowing with flowers and foliage: pair full blooms like peonies and roses with tall stocks, dainty daisies and trailing foliage. Fasten with natural elements like twine or hessian. 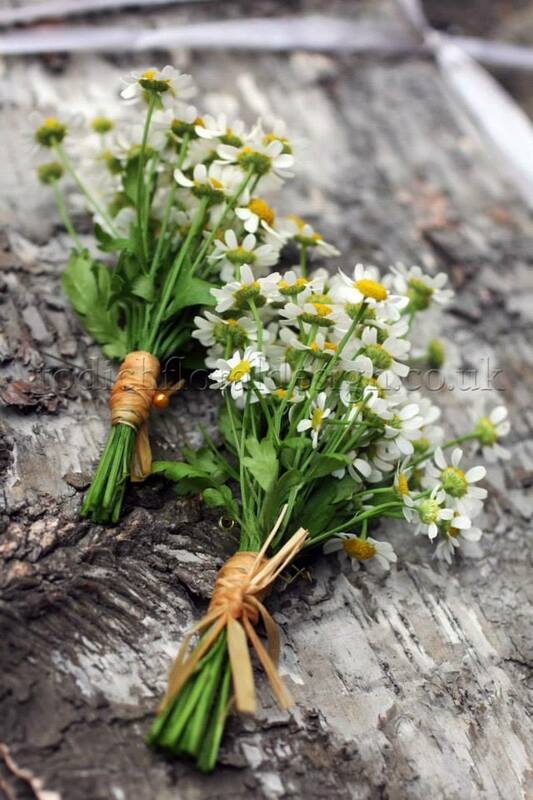 You can use a similar style for wedding buttonholes, bridal posies and floral place settings. Instead of wedding flowers, go eco-friendly and modern and choose a green wedding bouquet where foliage is the main feature. 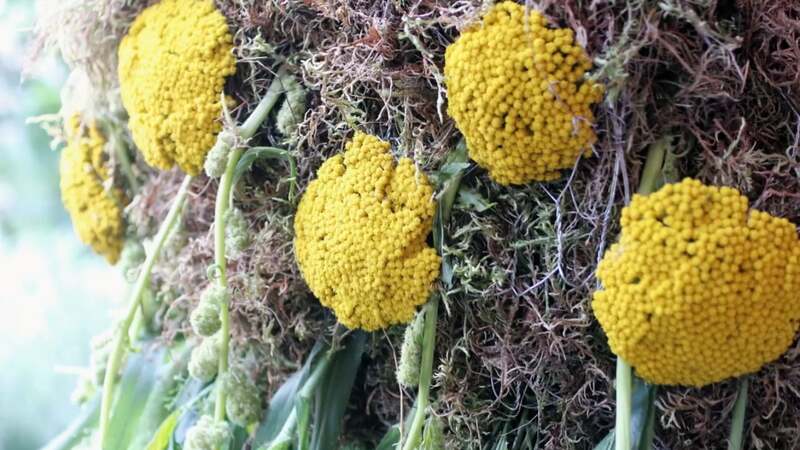 Incorporate kale flowers, berries, succulents or herbs for an unusual and charming look. A glass terrarium filled with pebbles, succulents and air plants will make for an unusual floral table decoration and will be a talking point for guests. Incorporate natural elements like moss, twigs and woodland flowers to create stunning wedding centrepieces inspired by the forest. 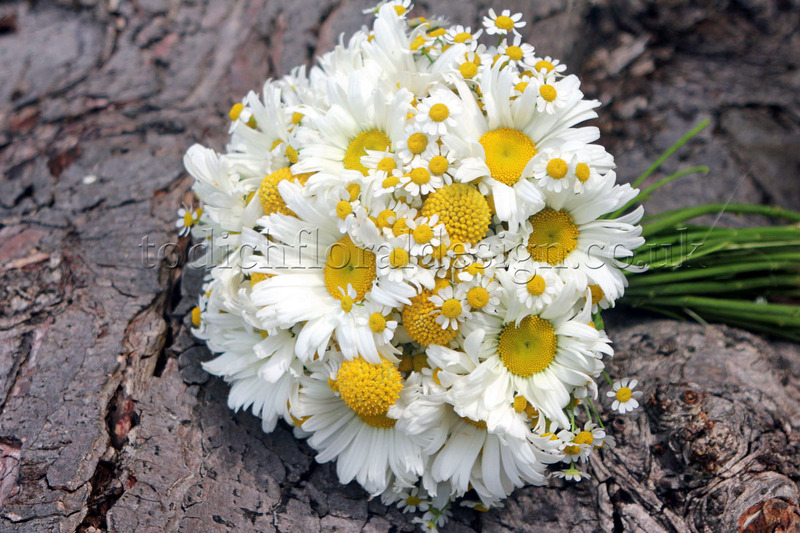 Wildflowers are low-key but beautiful options for wedding table arrangements: think chamomile daisies, cornflowers, bluebells and foxgloves. Summer wedding flowers gathered from the garden like sweet peas or English roses can be arranged in vintage vessels or simple glass vases for an elegant and natural look. Green, luscious foliage can be attached to the backs of chairs for the ceremony and reception with floral wire. Adorn with ribbons and flowers or just stay with the green and create a beautiful woodland vibe for the big day. Tie lavender to the backs of chairs to create a scented and delightful look, or tie posies of summer wedding flowers to the edge of each chair. These extra touches will really wow your guests and make the day magical and memorable for all. Mini succulents make great on-trend place settings and also double as favours – they’re great, low maintenance plants that will brighten the bathroom or office. Napkins can be decorated with herbs like lavender or rosemary, or wildflowers and elements of the bride’s bouquet. 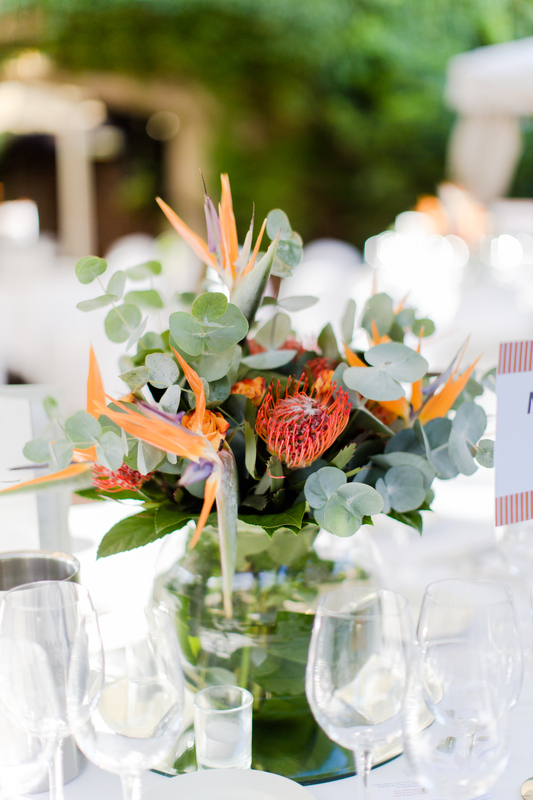 Or instead of summer wedding flowers as place settings, write guests’ names onto natural found items like pebbles and shells. This means they’ll have a souvenir to keep to remind them of the special day. 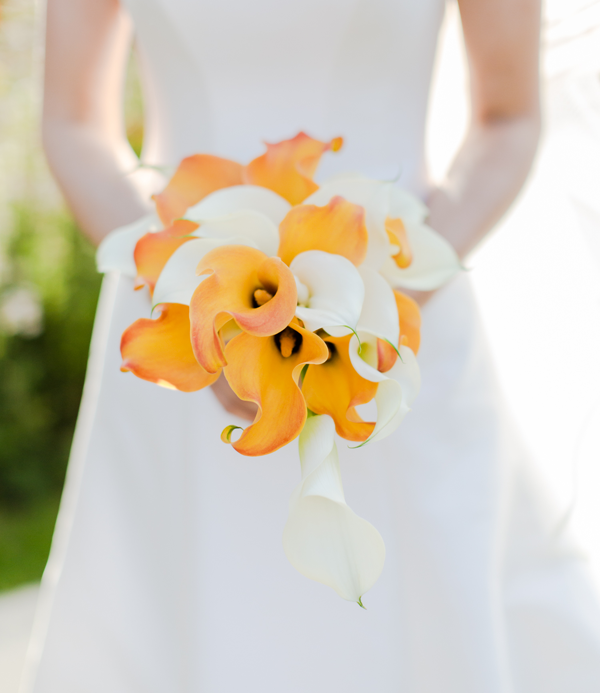 Summer Wedding Flowers – Let There be Light! 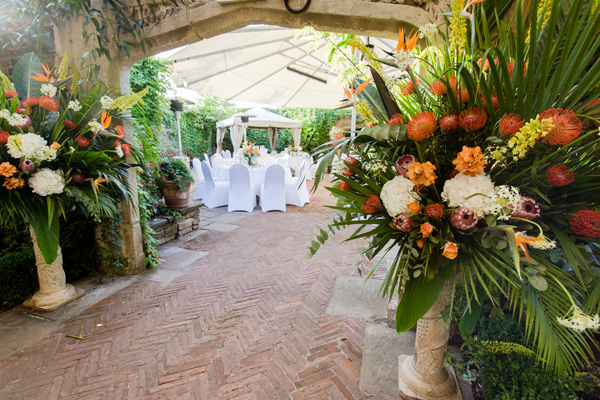 A rustic summer wedding is best held outdoors – although this can be difficult with the unpredictable English weather! If you are lucky enough to have a warm and sunny day, create a magical look with paper lanterns, candles and fairy lights strung through trees and trailing over the chairs and tables. Candles can also be incorporated into floral wedding centrepieces and place settings. Corsages and Buttonholes for Weddings London Couples Can’t Believe! Copyright©2019. Todich Floral Design. All rights reserved.